I may be partially biased, but I sure love fantasy authors. So I'm especially excited to have Kamilla Benko on today! 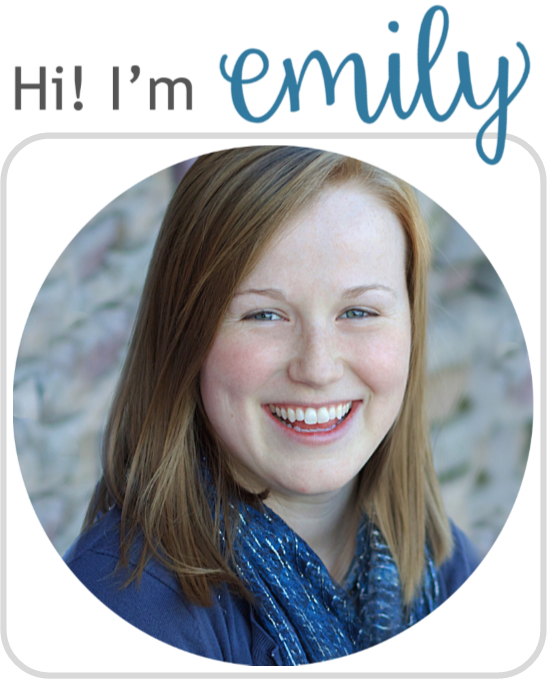 She's graced us with her wisdom before, when she shared 5 Tips for Aspiring Fantasy Writers. Now we get to tap into the writing-a-series process, fantasy names inspiration, and all the magic of unicorns! EA: Hi Kamilla! Thank you so much for doing this interview. Last time on LiteraryHoots.com you gave us some great tips for fantasy writing. 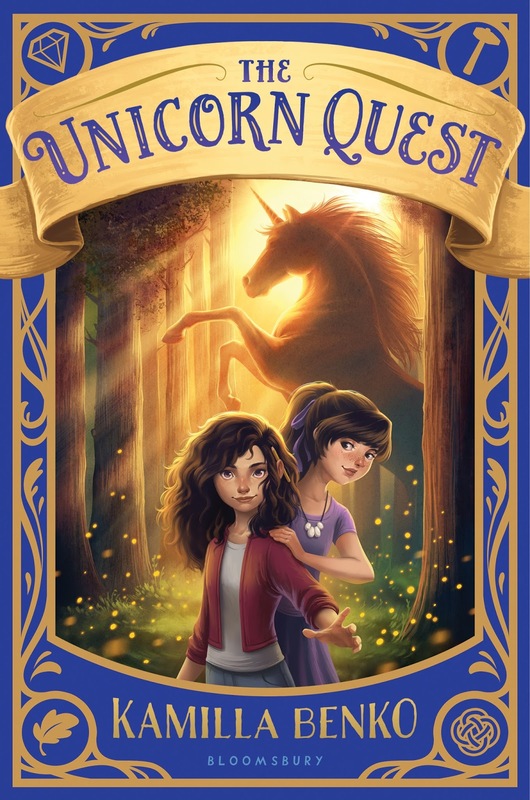 So let's dig a bit more into that: How did Unicorn Quest come about? Where did the idea spark from? KB: Six Februarys ago, I was visiting the Cloisters—an extension of the Metroploitan Museum of Art—and saw the famed Unicorn Tapestries that depicted a medieval hunt of a unicorn. While I studied the gruesome scenes I asked myself, “Why would anyone want to kill a unicorn?” and from there my imagination began to gallop ahead. 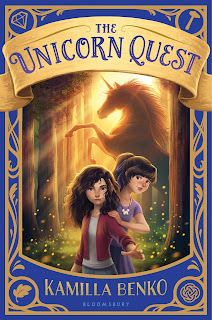 And because The Unicorn Quest trilogy was inspired by art, I wanted the series to explore the theme of magic in everyday life. 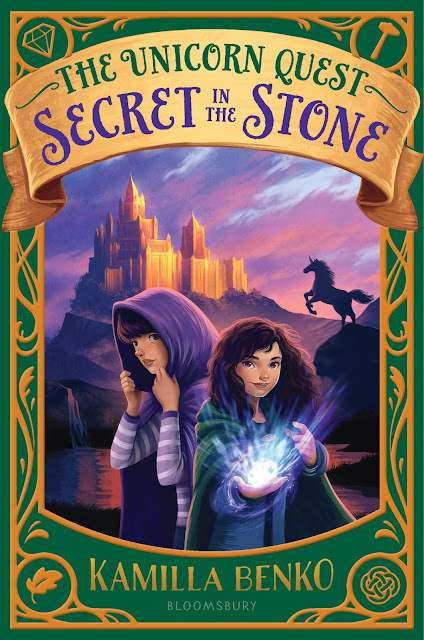 My main character, 11-year-old Claire Martinson is an artist who always has a pencil tucked behind her ear, and the world she ends up discovering with her older sister, Sophie, is one where all magic can only be done by creating something with your own hands. I really want to tap into the process of writing a series. Did you know from the outset that this story would be a series? How do you outline what happens from one book to the next? Does that change as you're writing? I always knew that this would be a series, because I’ve known the ending to Claire and Sophie’s story! I’ve known the end almost since the moment I thought of their story. Because of this, I know the girls’ ultimate goals: the goals that they may (or may not!) achieve at the end of the series, and I keep those in mind while I write forward. And because those goals haven’t changed, it’s easier to orientate myself in the individual books. Even though the arc may shift within each book—because you always have to allow room for characters to surprise you!— the series arc stays the same and is an anchor for me. This is kind of specific, but something I really find fascinating: how do you pick names? Especially in a fantasy world: the settings, the Guilds, characters--all sorts! I'm curious about your decision process. I also view names as guides for readers—especially for children who might be experiencing fantasy for the first time. Because fantasy often has so much going on, I want the names to help with the overall understanding of how the world works. So the Guilds names and setting names were chosen to help readers keep straight the different magics, and what place belongs to which guild. Which guild magic do you wish you had? Why? I wish I was a Gemmer, because I would love to be able to draw! And I’ve always loved sparkly things. What can we look forward to in the future? What’s next on your writing-idea list? Book Three in the trilogy is very much on my writing list, but even sooner is a book that also stars two sisters – Anna and Elsa from Frozen! I’ve been working with Disney and the filmmakers to write a middle grade novel about what happened to Anna and Elsa between Frozen and Frozen 2. It should come out sometime this fall, and I’m so excited for everyone to read it! I'm a huge proponent of "reading is reading". What I mean is that parents should give credit to whatever literature their kids are most interested in, especially if it gets their kids excited about reading. 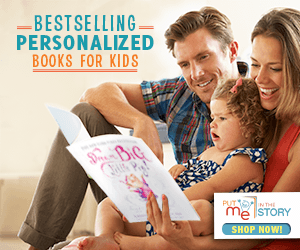 Yes, many parents may roll their eyes at a "video game book," but as Danica Davidson points out in this guest post: don't be quick to jump to conclusions. And yes, you read that post title correctly. I love books, and I also love Minecraft. Is it a surprise? 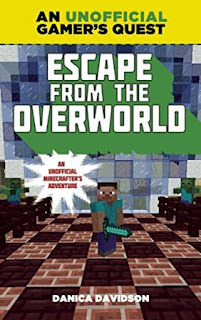 So far I’ve written 12 chapter books that take place as if Minecraft is real (Escape from the Overworld, Attack on the Overworld, The Rise of Herobrine, Down Into the Nether, The Armies of Herobrine, Battle with the Wither, Adventure Against the Endermen, Mysteries of the Overworld, Danger in the Jungle Temple, Clash in the Underwater World, Last of the Ender Crystal, and Return of the Ender Dragon). 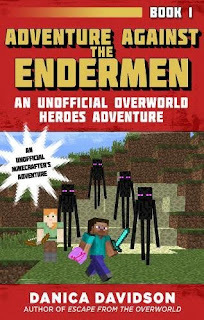 Aimed for ages 7-12, they follow the adventures of Stevie, and 11-year-old Minecraft boy who accidentally finds a portal to Earth. 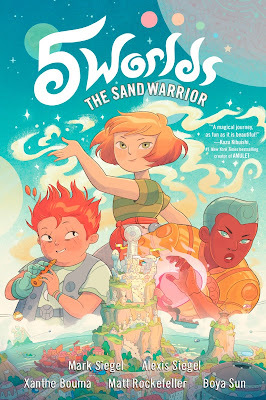 With his Earth friends and his danger-loving cousin Alex, the kids set off on a series of adventures in the different worlds, fighting monsters and saving lives. The books are full of chapter cliffhangers and action. But I also add a layer of depth under the action, and that’s why I was asked last summer to give a speech on my books to members of the European Union and their kids. Microsoft, the owner of Minecraft, set up the event and flew me to Brussels, Belgium. There I gave a twenty-minute speech (plus ten minutes of Q&A, mostly from the kids) about how Minecraft and my Minecrafter books can be empowering and educational. The game can help kids with using their imagination and critical thinking, and my books can help with literacy. In the midst of Stevie's adventures, the characters also deal with real world kid issues: going to a new school, making friends, handling bullies. It also talks about the online world, with Stevie noting that the Internet is a double-edged sword, used for good and bad. The kids have to deal with cyberbullies who hack into Stevie’s Minecraft world and make it eternal night, and this fantastic setting allows us to talk about how cyberbullying is an issue for many kids. Those lines went over especially well during my talk. The parents in the European Union looked intrigued and interested, while their kids were excited and had lots of questions for me afterward. I said I hope these books can empower children in their own lives, to help them become readers, thinkers, and doers. While Stevie sees the world can be cruel, he sees it can also be kind. I want to write these books to be entertaining, but also to have heart. 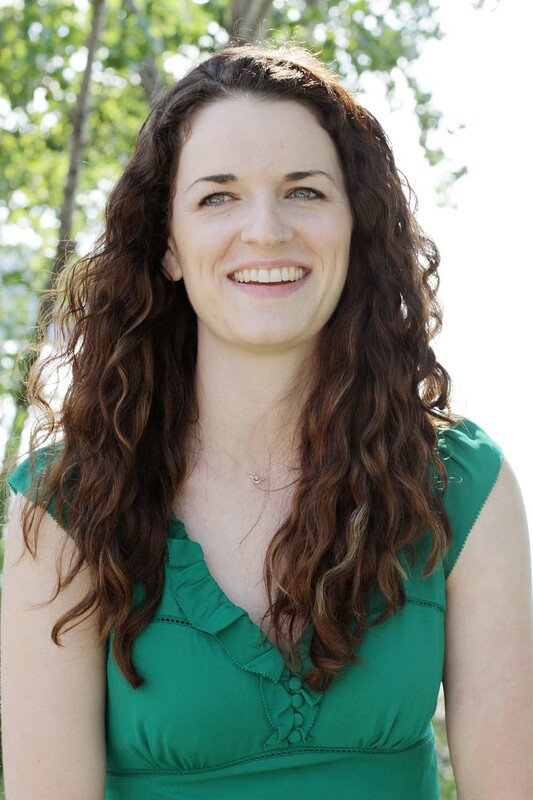 Danica Davidson is the author of YA and children's novels and graphic novels. She has the Minecrafter novels Escape from the Overworld, Attack on the Overworld, The Rise of Herobrine, Down Into the Nether, The Armies of Herobrine, Battle with the Wither, Adventure Against the Endermen, Mysteries of the Overworld, Danger in the Jungle Temple, Clash in the Underwater World, Last of the Ender Crystal, and Return of the Ender Dragon; the how-to-draw manga books Manga Art For Beginners and Manga Art for Intermediates; the comic book Barbie Puppies: Puppy Party; and "Picture Perfect" in the graphic novel Tales from the Crypt. 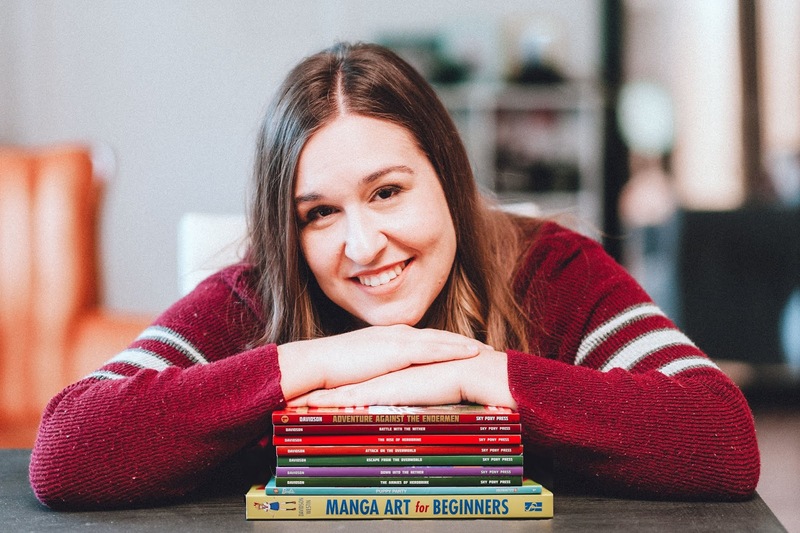 Her books have been called "EXCITING" by Forbes, "RECOMMENDED READING" by School Library Journal, and have been spotlighted by NPR, Sci Fi Magazine, Barnes & Noble Kids Blog, MTV and other publications. Please check out her site at www.danicadavidson.com. Wow, my first repeat offender! (Wait...that's not the phrase I'm looking for) What I mean is, I get to interview Stacy McAnulty AGAIN (woo!). 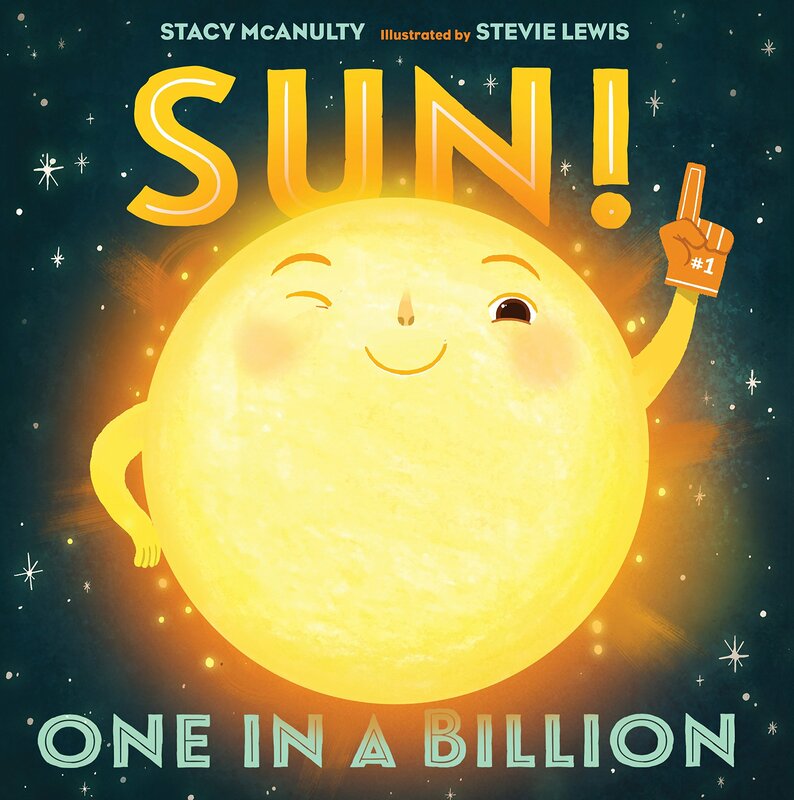 This time, she's talking about her most recent picture book, Sun! 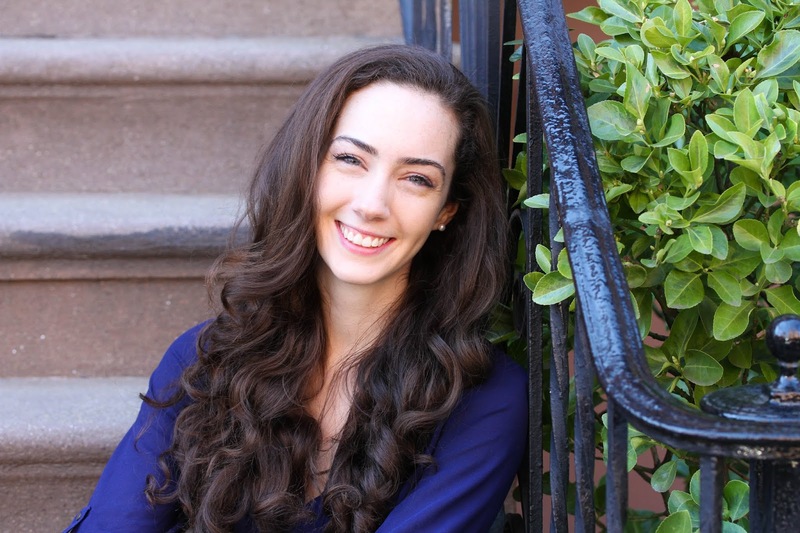 One in a Billion, the second book in her Our Universe series (you can find out about her first book and some awesome writing advice in a guest post back here). And, small sidenote, I totally meant to post this as part of the blog tour a couple weeks back but we have been down and out in my household. Luckily we're on the mend and double luckily, we get to hear from Stacy again. EA: Hi Stacy! I've had such a great pleasure featuring your books, and I'm pretty excited about your newest--SUN!, a companion to EARTH!. And I understand there's more to come, too--how exciting! Last interview, we talked a lot about your writing process and ideas, but tell me, how did you decide on a series of fun, factual science-based picture books? I am so excited about today's author interview: Mark Siegel, an author, editor, and publisher of graphic novels—a veritable graphic-novel-genius extraordinaire! And, with this being my first foray into graphic-novelist-interviewing, I'd say this is a pretty awesome way to start. 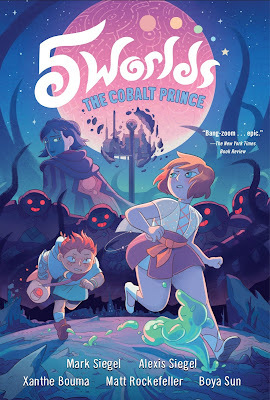 Our particular focus today is on his series, 5 Worlds, with The Sand Warrior (which I reviewed back here, and garnering several awards and starred-reviews) and The Cobalt Prince, the recently released book two. EA: Hi Mark! Thanks for doing this interview. I have never had the opportunity to interview a graphic novel writer (graphic novelist? ), let alone an editor of a whole graphic novel publishing office! So that being said, I really want to focus on the importance of graphic novels and the writing process. First up: how did you get your start in graphic novels? MS: After college I spent a decade getting rejection letters on all my submissions—picture books and graphic novel projects, which I was sending to publishers in the U.S. and in France (where I grew up)... In order to make a living, I learned book design and eventually moved to New York, where I worked for Simon & Schuster Books for Young Readers. That same year, I got my first break in picture books, with the beloved editor Richard Jackson, who launched the careers of many luminaries, including Judy Blume, Chris Raschka, and Cynthia Rylant. Our first project together was SEADOGS: AN EPIC OCEAN OPERETTA, on a Lisa Wheeler manuscript. This was pure fun, through and through, and I did it in a European comics style. It went on to win the Texas Bluebonnet award. Our following project was written by my wife Siena, and was called To Dance—a comics memoir of ten years of her life in ballet, as a student of George Balanchine in the School of American Ballet. 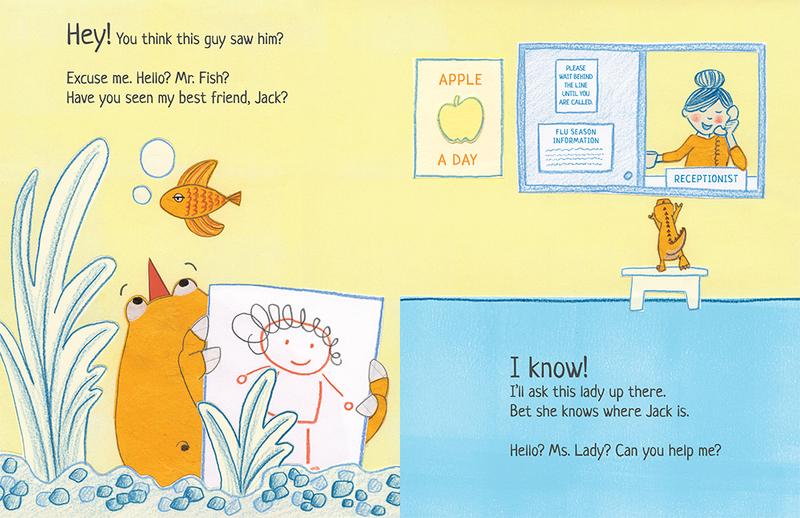 That won a Sibert Honor. Meanwhile, the big publishing houses were all turning their focus to graphic novels, and so those two books got noticed... I was developing a vision for an American, literary graphic novel house—and in 2005, Macmillan offered me an imprint to run at that crazy dream. And that's how First Second Books began. I never stopped working on my own projects alongside of that, though. Wow, what an opportunity! So why did you choose to make 5 Worlds? And in particular, why did you decide to write to a kid audience? Hello! 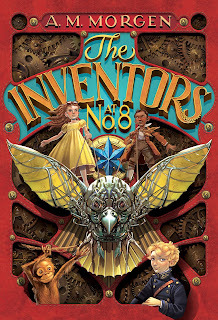 Welcome to the blog tour stop for The Inventors at No. 8, a new middle-grade read by A. M. Morgen—who was also nice enough to write an awesome little post for us here! Ms. Morgen has provided a rather unique and very useful how-to about character development. Because, you see, she's got one hefty character starring in her new book: the one and only Ada Lovelace. This book is a STEM-filled adventure that will be sure to win over readers! Meet George, the third Lord of Devonshire and the unluckiest boy in London. Why is George so unlucky? First, he's an orphan. Second, unless he sells everything, he's about to lose his house. So when his family's last heirloom, a priceless map to the Star of Victory (a unique gem said to bring its owner success in any battle) is stolen by a nefarious group of criminals, George knows that there is no one less lucky—or more alone—than he is. That is until Ada Byron, the future Countess of Lovelace, bursts into his life. 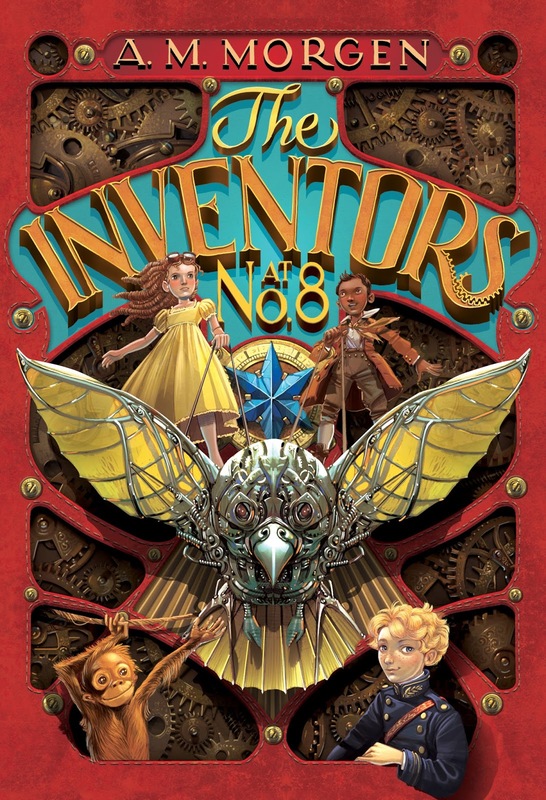 She promises to help George recover his family legacy, and is determined to find her own father along the way—all in a flying machine she built herself. Joined by a mischievous orangutan and the long-lost son of an infamous pirate, Ada and George take off on a cross-continent journey through the skies that will change their lives, and perhaps the world, forever. If you watch crime shows on TV, you might expect that geniuses are so common that they work in every police station. However, true geniuses are rare. Scientific geniuses are rarer still. Only .25% of the world’s population is estimated to have a genius-level IQ. But exceptional intellect alone doesn’t make a genius. A genius must also be creative and persistent enough to put their talents into practice. 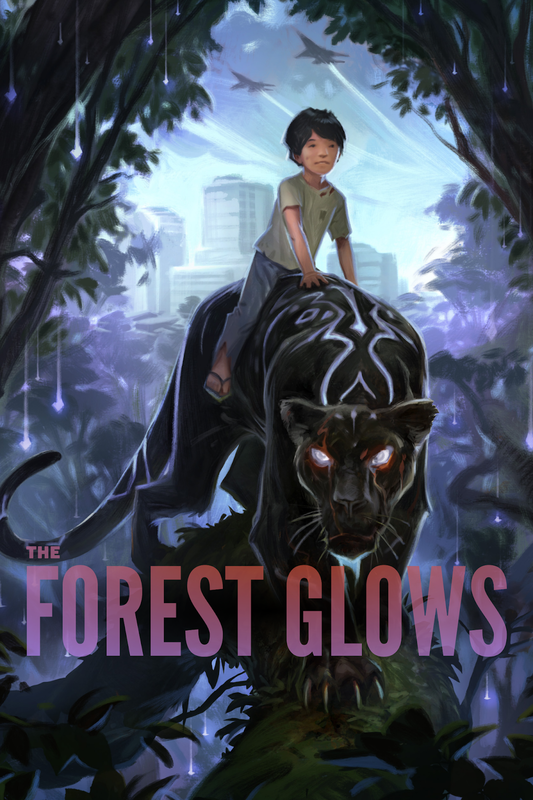 THE FOREST GLOWS is a story of Milo trying to find his brother after an alien ship crashes into the Amazon Rainforest and the impact begins to change the forest into a hybrid of the alien world and Earth. Milo gains an ally in his search, a black jaguar, who has also lost something since the crash. This is book 1 of 6 in this series! Kids are experts in story and imagination. Ask a kid what they are drawing. Or to explain why something works the way it does. Or why there is a new scribbling of black marks on their bunk bed. Stories. Kids will tell innocent stories. Kids will take a world they don’t quite understand and piece it together with a story. And kids will sometimes tell the kind of stories that are crafted out of a moment of desperation. 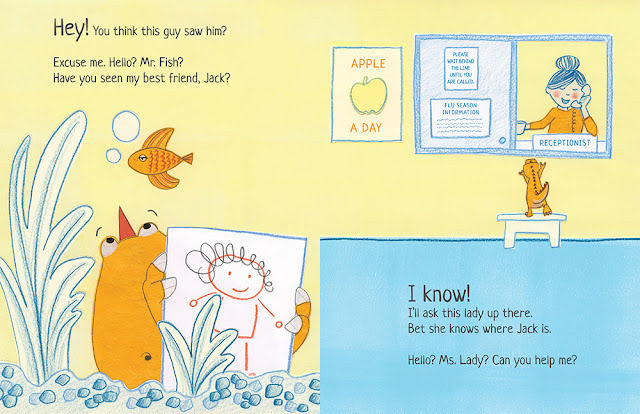 Kids experience their world through stories and so, even at a young age, they are experts in them. A dusty, grayish moth is feeling kind of down. He's nothing like the Luna moth, Spider moth, or Atlas moth. And don't even get him started on beloved butterflies! He's just not special like those insects. But then . . . a boy sees him and enlightens our little moth on how extraordinary ordinary can be. 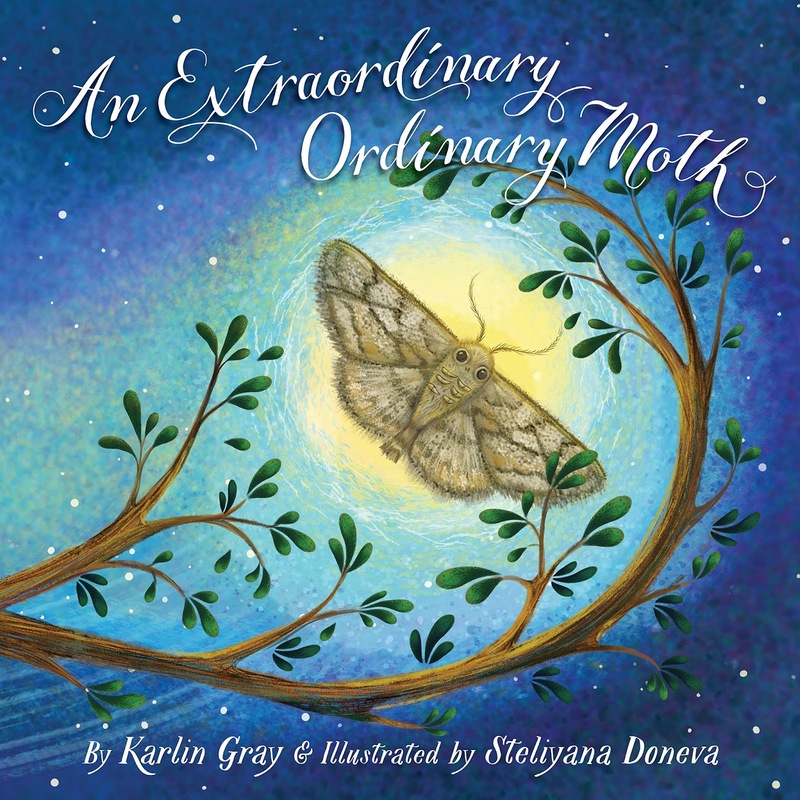 Illustrated by Steliyana Doneva, AN EXTRAORDINARY ORDINARY MOTH is a rhyming read-aloud picture book with back matter that includes fascinating moth facts and an outdoor activity. Read an excerpt of AN EXTRAORDINARY ORDINARY MOTH. When people ask me who are my favorite literary characters, I sometimes reply, “Hogwarts!” Or Pern, or Tortall, or Ketterdam, or Red London, depending on my mood. Hey, these are worlds, not characters, you might say. And you’d be absolutely right. But I don’t see the difference. Worlds are what I fall in love with. As an editor who has worked on several fantasy novels at the Big Five Houses and as the author of The Unicorn Quest, I’ve spent a lot of time creating and shaping new worlds, and I have five helpful steps to take as you begin to build your own. 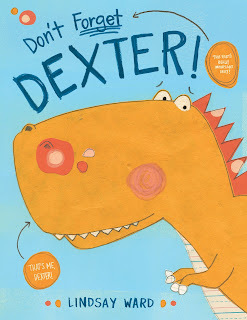 "Introducing Dexter T. Rexter, the toughest, coolest dinosaur ever. At least he likes to think so. 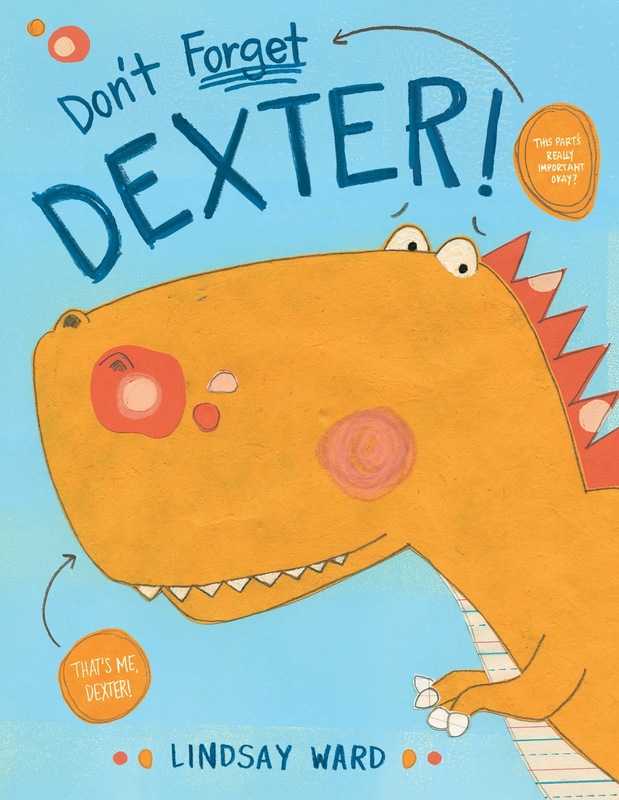 This hilariously neurotic dinosaur will do whatever it takes to get his friend back—even asking the reader’s advice—in this first book of a brand-new series." Every single book I’ve ever written has come from a personal experience. As cliché as it sounds, there is something to be said for writing what you know. I’ve always found it to work for me. Usually I come up with a concept first, then I flesh out the manuscript. I tend to revise over and over again until it feels just right when I read the story aloud. I like to think of it as a very Goldilocks approach to writing. Don’t Forget Dexter!—I was pregnant with my first child when my husband had to get a shot prior to our son’s birth. While waiting to get the shot, my husband texted me a photo of a toy dinosaur that had been abandoned beneath a chair. Following the photo he texted “well, they left me here.” Dexter’s voice immediately popped into my head and I sat down to write his story. The Importance of Being 3—Graduate school application prompt: tell a story using the number 3. Rosco vs. the Baby—I used to live next door to a dog named Rosco who never stopped barking. Oddly enough the couple who owned Rosco ended up having twins after I wrote the ending of the book. True story. Henry Finds His Word—I had lunch with a good friend of mine and her son when he was just starting to talk. Please Bring Balloons—A combination of being an only child, my love for the magic of snow, and the fact that my parents used to paint carousels for a living. When Blue Met Egg—My love letter to New York, after living there briefly during college. You never know where an idea will come from. Usually it’s when you least expect it, which has certainly been my experience. I try to be observant, enjoy the world around me, and keep a notebook handy...just in case. Lindsay Ward was inspired to write this book after her husband texted her a photo of a toy dinosaur abandoned at a doctor’s office. The caption read: “Well, they left me here.” Lindsay thought it was so funny that she sat down to write Dexter’s story immediately. Most days you can find Lindsay writing and sketching at her home in Peninsula, Ohio, where she lives with her family. Learn more about her online at www.LindsayMWard.com or on Twitter: @lindsaymward. and so you take a short break from the blog. Okay, okay, so life wasn't that dramatic. But I have added quite a bit to my to-do list with two kids to raise and an elementary school library to run. So there will be some changes coming to the blog. First and foremost, you can see my new review policy here. Basically, I won't be posting as many reviews here, just my top choices each month. I'll still be welcoming guest posts, however, and posting the occasional helpful tidbit I've learned on the job (including displays, lesson-helps, and such). Also, look forward to a new advertising policy page coming your way and the creation of a newsletter. SO...it's still going to be Literary Hoots, just with a tad fewer hoots... cool? Cool.